I'm shook, you're shook, we're all shook! ...this picture which is SUPPOSEDLY of 18-year-old Samantha Rodriguez at Houston Pride. Or is it Ariana Grande? OR MAYBE DEMI LOVATO? Or maybe a secret clone hybrid of the two pop stars engineered in a hidden lab somewhere run by Max Martin?! ...with a dash of Demi thrown in? I'M SHOOK, YOU'RE SHOOK, WE'RE ALL SHOOK. Seriously, people can't unsee it. And some are DEMANDING Samantha pick one of the two pop stars to look like. And mashups are even being dreamed up for Samantha to sing. Anyway, I had to get to the bottom of this, so I reached out to Samantha. 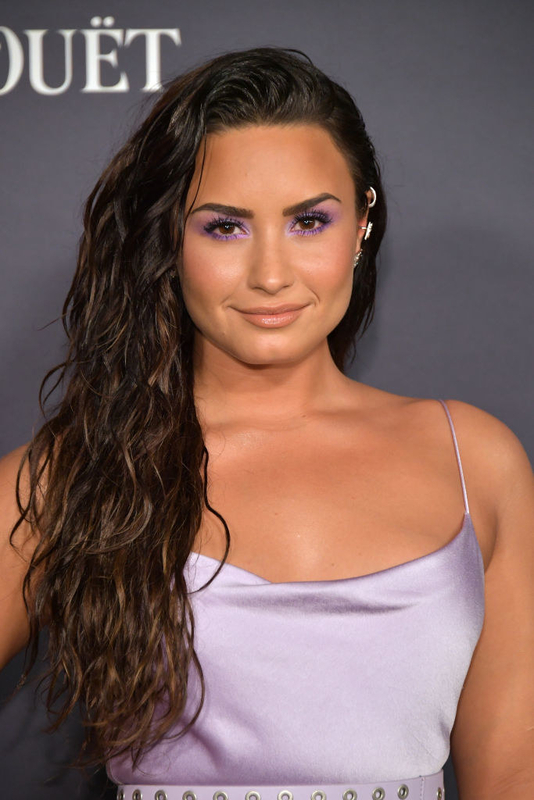 In an interview with BuzzFeed, Samantha said while she has been told she looks like Ariana "on multiple occasions," the Demi comparison is new — she thinks it is because her chin looks like Demi's in that picture. And while she doesn't think either artist has noticed the picture yet, the two fandoms "made everything blow up," especially Ariana's. Oh, and she's a big fan of both ladies. "I love both women and I appreciate their music and what they stand for." To boot, Sam even said she thinks Demi is pretty damn cute. OK, case closed! Meanwhile, I'm going to just sit over here still shook as hell.